QuackQuack.in, India's most popular platform to meet singles is now portable in your pocket! The QuackQuack.in online dating app has been packed into an Android app and is available to download from Google Play Store. Now Wave, Message or Chat with members on the go. Enter your mobile number to be sent a link, or download the dating app from Google Play and IOS. �? Quick search to find local singles. With all these unique features, QuackQuack gives competition to all the other free dating apps on the deck. Probably, you don’t need any more reasons to install this absolute remedy for your loneliness. Is genuine matchmaking your main concern? These best dating apps India do takes care of it and works in a free service format. Joining the actual online dating app is also free. The free profile is the basic one and gives you time to get adapted to this virtual dating program India. Soon you get indulged in the fun, an irresistible desire to get more out of it makes you to upgrade your profile. Well, all credit goes to the superb moderation and utter cleanliness of QuackQuack Indian dating apps. Don’t hide your desires deep down the lane. 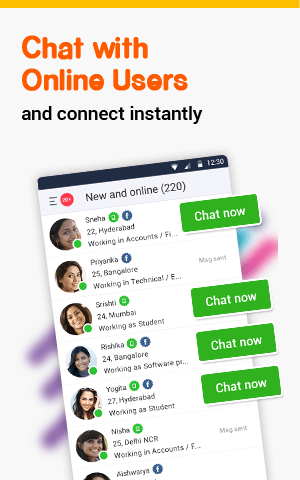 Install this amazing best dating app in India, meet new people, teens and start sharing waves. Girls mostly look for a safe platform for dating and love. So, girls - it is the one chance you were looking for so long. Just break the ice and begin your date. For men - whether you are looking for a simple girl or the hottest one in the town just put your longings here and you have the plenty of options to end your boredom. QuackQuack online dating apps is known for its unmatched performance on mobile with hassle free sorting filters on your finger tips to find your perfect dating profile based on your interests. It is also known as India’s popular free dating apps for android in building healthy and secured relationships. 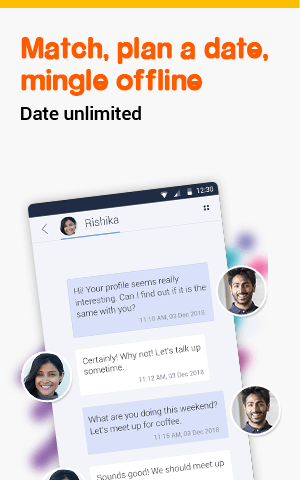 Through this mobile dating app you can exchange words between fellow Indian chatters at free. You can interact freely on QuackQuack matchmaking app and enjoy its services without paying any subscriptions. QuackQuack mobile dating app in india is safe, easy to use. 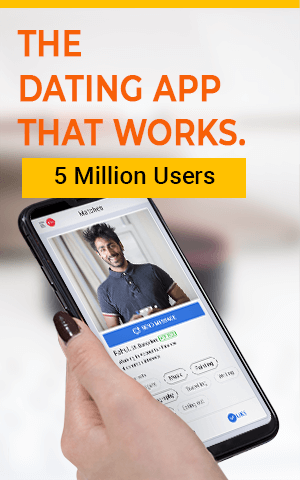 The best dating apps are available for both Android and iPhone users for download, install and stay connected. QuackQuack best dating apps ensures high secure to your account and spam free.